Dinosaurs and other prehistoric animals pose vast problems for the artist. How do you go about recreating the anatomy and behavior of a creature we've never seen? How can we restore landscapes long lost to time? And where does the boundary between paleontology—the science of understanding fossils—and artistic license lie? In this outstanding book, Mark Witton shares his detailed paintings and great experience of drawing and painting extinct species. The approaches used in rendering these impressive creatures are discussed and demonstrate the problems, as well as the unexpected freedoms, that paleontological artists are faced with. The book showcases more than 90 scientifically credible paintings of some of the most spectacular animals in the Earth's history, as well as many less familiar species. 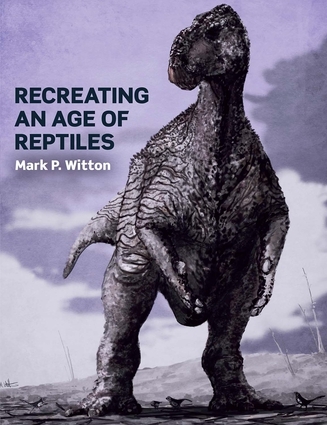 Mark P. Witton is an author, paleontological artist, and researcher who has worked with major museums and universities around the world to understand and reconstruct extinct animals. He has acted as consultant to the Walking with Dinosaurs franchise and BBC's Planet Dinosaur. He is the author of Pterosaurs: Natural History, Evolution, Anatomy.